Norfolk Yacht Agency’s boat service centre offers a ‘one stop shop’ for the high-quality maintenance, refurbishment and repairs to your boat. 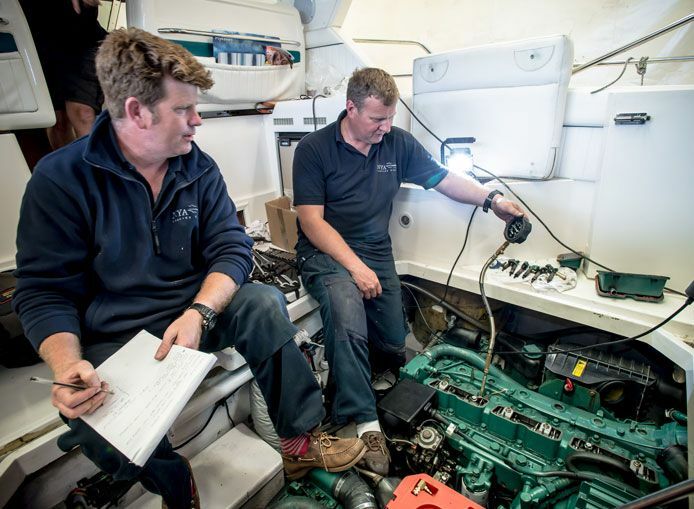 Our expert team includes experienced marine engineers, boat builders and dedicated preparation staff. This includes Volvo, Mercruiser and Yanmar trained specialists. Our fully equipped service centre is complete with lift-out facilities a joinery machine shop and a marine engineering workshop. This list is not finite, if you require any repairs or maintenance of your boat, please contact our experts. From our Norfolk based boatyard, we can offer all aspects of boat servicing. Whether you own an offshore luxury cruiser or a small inland boat for exploring the Norfolk Broads, we can offer you cost effective and expert servicing for your boat. Our servicing team are also responsible for carrying out comprehensive checks of our used stock boats prior to sale, giving peace of mind to those looking to purchase a used boat. 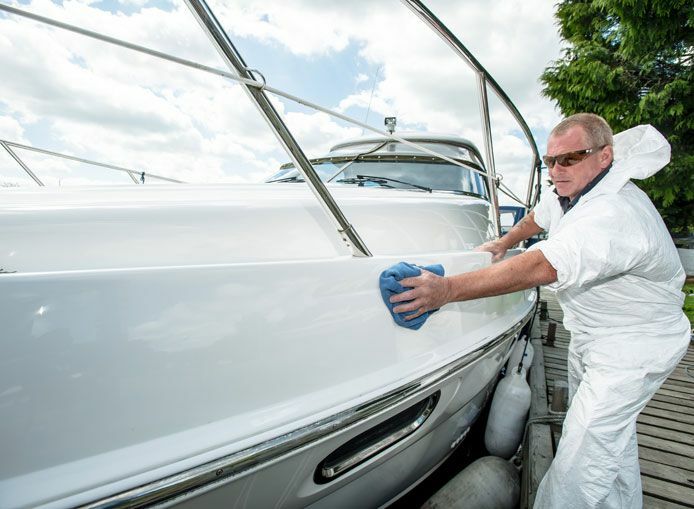 Many owners trust us to look after their boats year after year. Whether you need routine servicing, emergency boat repair or an upgrade of facilities, please contact us and see what we can do for you. We offer top quality boat repairs, restorations and refurbishments in Norfolk. From large scale refurbishments and overhauls to smaller refurbishments on individual elements of your boat. All of our restorations are carried out in house, so you know your boat is with a company you can trust while that work is being carried out. No boat restoration project is too big or too small for NYA. Our team are experienced in GRP and wooden boat restorations and pride themselves in getting tired vessels back to their former glory. We have state of the art technology onsite and use top quality parts and materials in order to carry out the high specification restoration you are expecting. We undertake a lot of retro-fit work, with just about any component part you can think of. We can retro-fit heating systems, bow and stern thrusters, navigation equipment, generators and inverters, and anything else you may need to create the perfect cruising experience.